The Physics Groupie Blog: "Bell Curve"
I met quite a few curious characters in the UCLA Computer Club when I was an undergrad. One club member stands out after all these years. He was an honors student and quite the enigma. I don’t recall his real name, but all of us in the club called him “Bell curve.” He was a tall (6’4” or so), lanky, acne-laden, disheveled looking kid with absolutely no social graces which could have been because he was only fourteen years old. He also had some kind of skeletal affliction because he walked around with hunch. He was considered a genius, so the rumor had it, and that’s why he was in the honor math series. I remember him carrying around the coveted Apostol honors calculus text (see Quarkbooks.com math section). 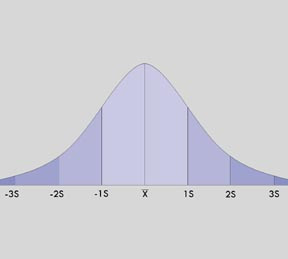 Oh yes, we called him Bell curve because on the normal distribution of social intelligence, he wasn’t on either of the asymptotic extremes of the Bell curve!